The first thing people see when you’re white knuckling through their town is your headlight – for obvious reasons. What that light is enclosed in can make a big difference depending on the look you’re going for. 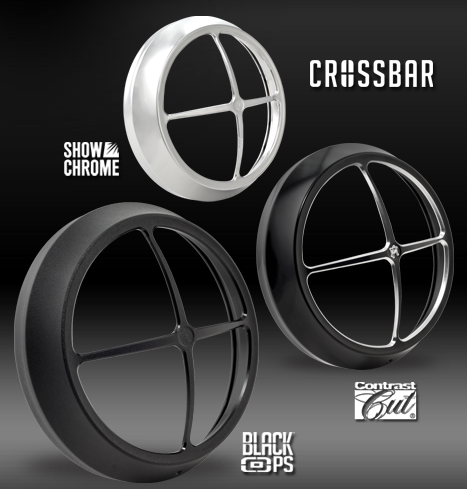 Performance Machine Vision Series Headlight Bezels lead the way with five meticulously crafted designs; the Grill, Crossbar, Merc, Apex, and Clean will have you shedding the stock piece for these custom halos in a quick minute. The 7″ billet bezels are designed to mate with FLHX, FLHR, and FLHTCU models in Chrome, Contrast Cut and Black Ops finishes. Will run you ~$180 which isn’t a bad price for a company that makes high quality parts.